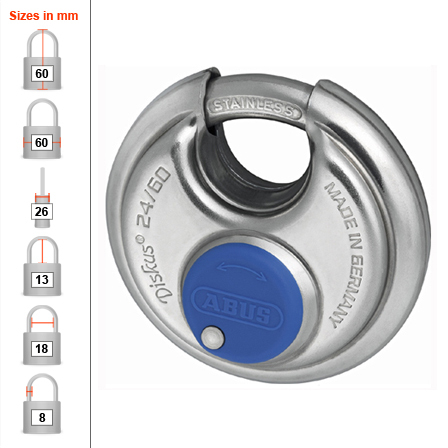 The Abus stainless steel diskus padlock is 100% non-corrosive due to the external body being made of stainless steel and its internal components being made of non-corrosive materials. This makes it the ideal security measure for outdoors and severe environments. This diskus padlock has been designed and built to provide ultimate protection from force and strength attacks.